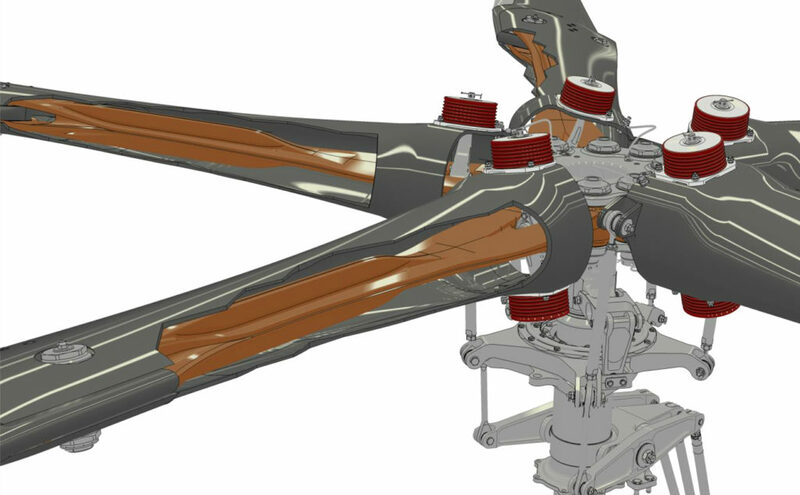 Airbus Helicopters is launching a five-bladed version of its H145 light twin that promises operators an increase of 330 pounds (150 kilograms) useful load over the existing version of the aircraft. The manufacturer revealed the upgraded version of the H145 — to be known simply as the “new H145” — on March 4, on the eve of Helicopter Association International Heli-Expo 2019 in Atlanta, Georgia. 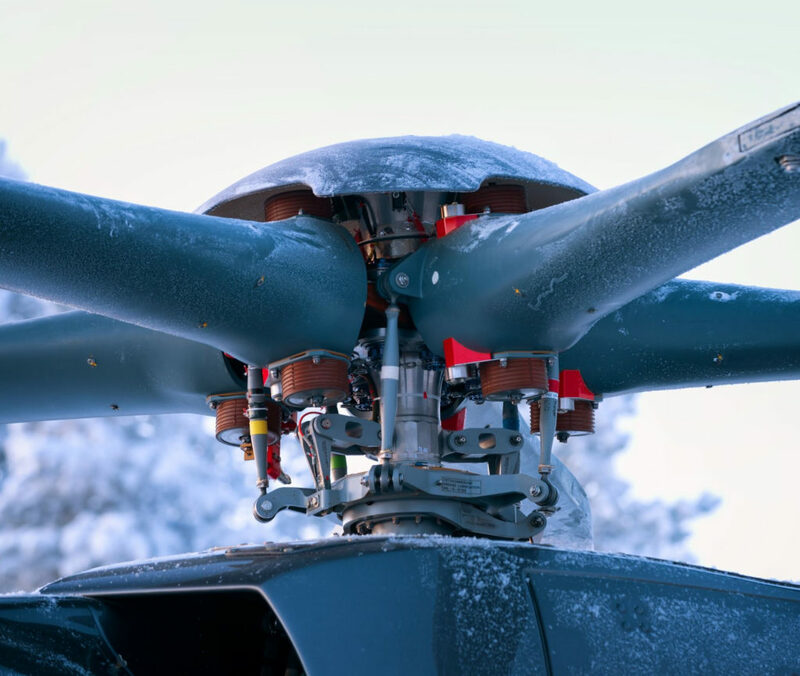 The aircraft’s new bearingless main rotor system features a fully composite flex-beam and main rotor blades, doing away with a main rotor system design that had been used on previous generations of the H145, BK117, and Bo.105. It also dispenses with the main rotor head entirely — and the accompanying oil and grease needed to lubricate it. In addition to providing increased lift with the latest airfoil design and material technologies, the blades have a unique foldable design that provides storage and potential cost replacement benefits. Airbus has achieved the aircraft’s increase in useful load by reducing its empty weight by 110 lb. (50 kg), and increasing its maximum takeoff weight from 8,160 lb. to 8,380 lb. (3,700 kg to 3,800 kg). 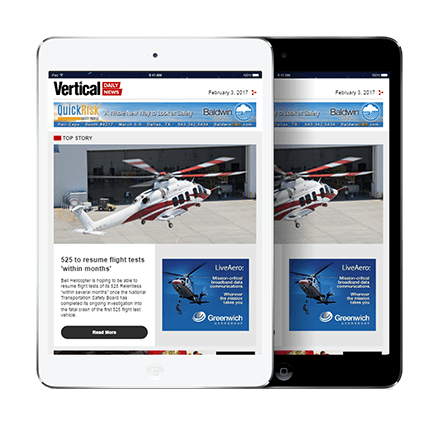 As Axel Humpert, head of the H145 program, told media during a pre-Heli-Expo briefing, the aircraft’s useful load is now almost the same as its empty weight. “This reflects the maturity [of the aircraft] that we have on the one side, and the performance of the new rotor on the other side,” he said. 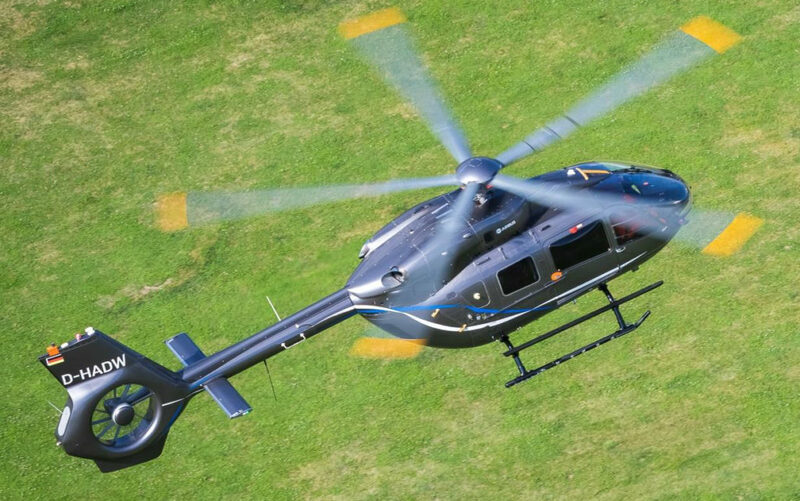 The new H145 (officially certified as the BK117 D3) will be offered both as a new aircraft off the production line, and in the form of an upgrade through a retrofit for existing H145s (previously known as the EC145 T2). Earlier versions of the type — essentially, those without a Fenestron — will not be eligible for the retrofit. According to Humpert, new H145s off the production line will not cost any more than newly-produced four-bladed H145s. “We wanted to keep the competitiveness of the aircraft, [so] we concluded that we shall not increase the price tag, but offer to the market a helicopter that [has more performance, [and] offers more useful load than the other version, [to] bring its competitiveness to even a higher level,” said Humpert. The retrofit will be available in an “an affordable package” he added, from any Level D certified service center. Certification is expected from the European Aviation Safety Agency (EASA) in the first quarter of 2020, and Humpert said Airbus was in negotiations with launch customers for the type, with entry into service scheduled for mid-2020. Both versions will be offered as deliveries begin of the newer type, “but we believe that the tendency will be created [for customers] to move to [the] five-bladed [aircraft],” said Humpert. A desire for fleet commonality is expected to account for those who still request the four-bladed aircraft. To allow the manufacturer the flexibility to deliver aircraft in either configuration, it will have a batch of airframes that can be turned into four- or five-bladed aircraft on the production line. The final four-bladed aircraft will be delivered in February 2021. While the evolution looks dramatic, Airbus has kept the upgrade process relatively simple, allowing it to rapidly progress through the development program. Essentially, the changes involve removing the four-bladed rotor, rotor mast and swashplate; and replacing it with the five-bladed rotor, mast, and swashplate. Beyond that, the forward crosstube and horizontal stabilizer have been modified to avoid dynamic responses. “That’s normal dynamic balancing that we do,” said Humpert. Finally, Airbus has removed light anti-vibration absorbers, and installed an electrohydraulic actuator to help the pilot check the freedom of control on the ground when the rotor or engine is off. 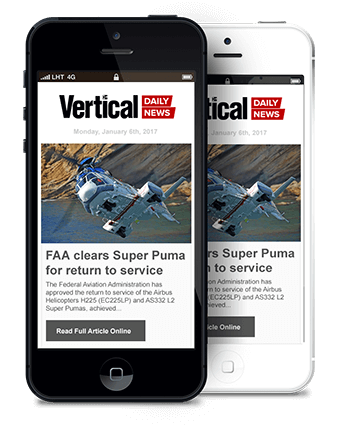 In terms of avionics, the upgrade includes the installation of Airbus’s Wireless Airborne Communication System, which allows navigation and mission database information to be imported from a tablet, and has the capability for cockpit Wi-Fi. On the ground, it can automatically export flight data and generate flight reports. The blades incorporate the latest airfoil design to produce more thrust than previous blades at the same power. 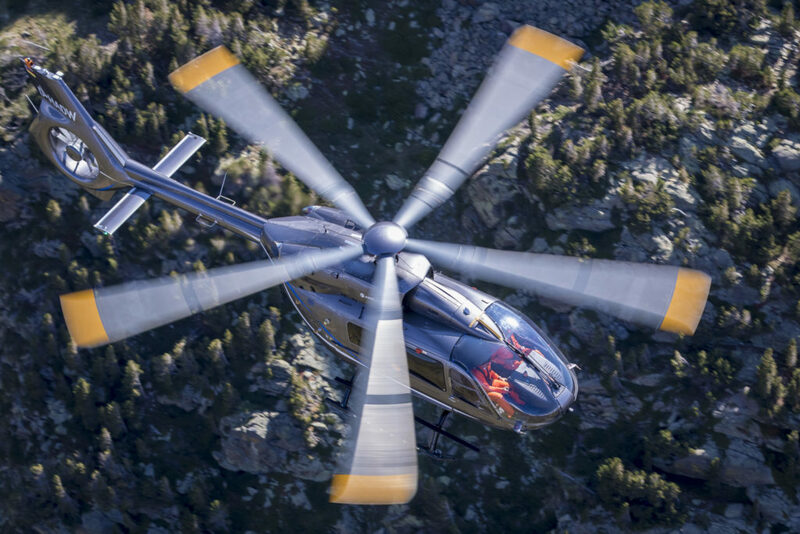 While five blades have more drag than four blades in a rotor, Humpert said improvements to the aerodynamics of the rotor cuff of the blade had actually allowed the new H145’s blades to provide more lift. “This is the aerodynamic evolution which is technically behind it,” he said. The new main rotor system has been simplified with no main rotor head — so the blades are attached directly to the rotor mast. This means fewer parts, resulting in the lower weight and simplified maintenance. The blades have been designed for simplicity and thrust efficiency, said Humpert, and provide “some different characteristics” during flight. He said these included an increase in comfort level (with reduced vibration), while maintaining the same levels of noise and efficiency as the existing H145. Why not six blades for the upgrade? The new blades have affected the dimensions of the aircraft to a small extent — it is now almost four inches (10 centimeters) taller, and almost four inches shorter from the tip of the blade to the rear of the Fenestron. The diameter of the rotor disc has shortened slightly, from 36 feet, one inch (11 meters) to 35 feet, five inches (10.8 meters). But with the foldability of the blades, which allows all five to be turned rearwards to run in the direction of the tail boom, the aircraft’s potential footprint and storage requirements have been minimized. Each blade is essentially made of two parts: a meter-long “control cuff” at the base of the blade that attaches to the mast, and the remainder of the blade, which attaches to the cuff through two bolts. To fold the blades, one of the bolts is removed and the blade rotated backwards. According to Humpert, the cuff is the “high technology” part of the blade, containing the composite flex beam — and it’s this that replaces all the bearings seen in a traditional main rotor hub. “It takes all the momentum, it takes all the need to change [the] pitch of the blade,” he said. The blades have no life limit, with replacement determined on condition. As of mid-February, the new H145’s flight test program was about 40 percent complete, having officially begun following the signing of an agreement with Kawasaki (a longstanding partner on the BK117/EC145 program) in April 2018. The program had flown three campaigns by that point, including one in the Pyrenees Mountains, one in the south of Spain, and a cold campaign in Finland. Flight testing is due to be finalized in October this year. Antoine Van-Gent, chief test pilot at Airbus Helicopters’ facility in Donauwörth, Germany, said the difference in flying the two versions of the H145 “is almost negligible” — which was the aim of the development. The blades represent the first practical application for technology used in Airbus’s Bluecopter program, which sought to advance various eco-friendly design and technology developments. But while the Bluecopter program used an H135 airframe, Humpert said Airbus has no plans to install the five-bladed setup on the smaller light twin in the future. 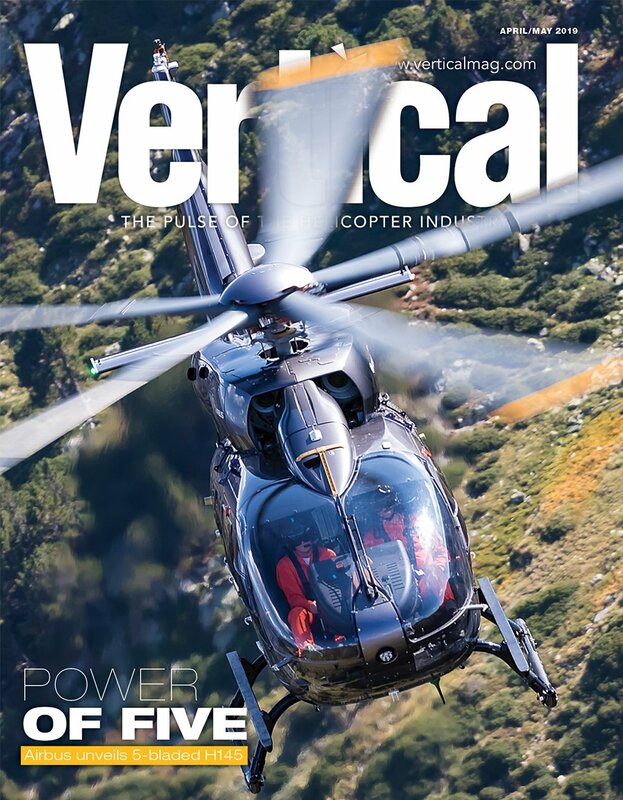 The manufacturer explored using Blue Edge blades (which feature swept-back tips, and are used on the upcoming H160 medium) on the new H145, but Humpert said the smaller rotor diameter and narrower blade chord on the type meant the full benefits of the technology wouldn’t be realized. 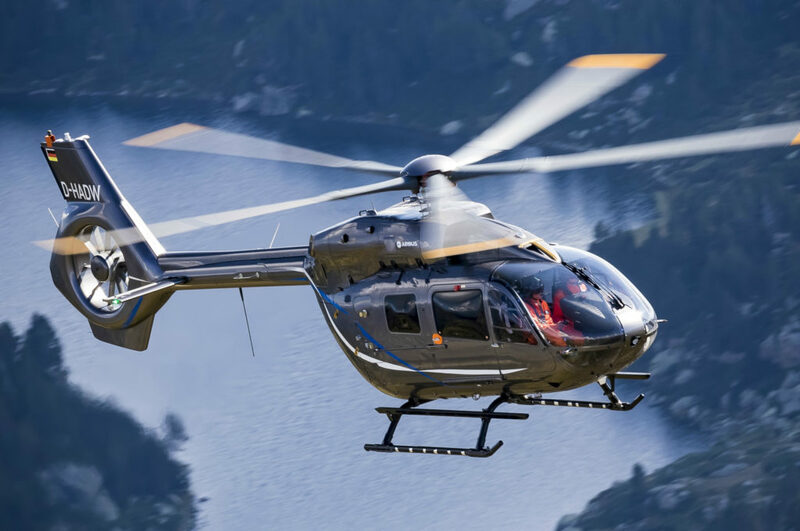 Airbus has delivered over 1,500 aircraft from the H145 family (which includes its predecessor, the BK117), with the collective worldwide fleet recording 5.5 million flight hours. 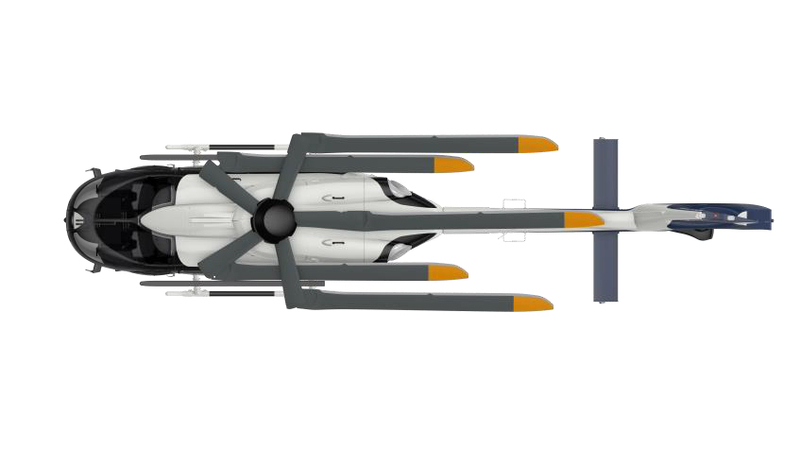 With the advent of the Canadian (DND) Government wanting to spend money on modifying the existing Griffons. Bell Helicopter for some unknown reason has always been stagnant behind the eight balls whenever it comes incorporating new idea’s. Whereas Airbus has increased its technology on an ongoing basis that meets the requirements of clients. 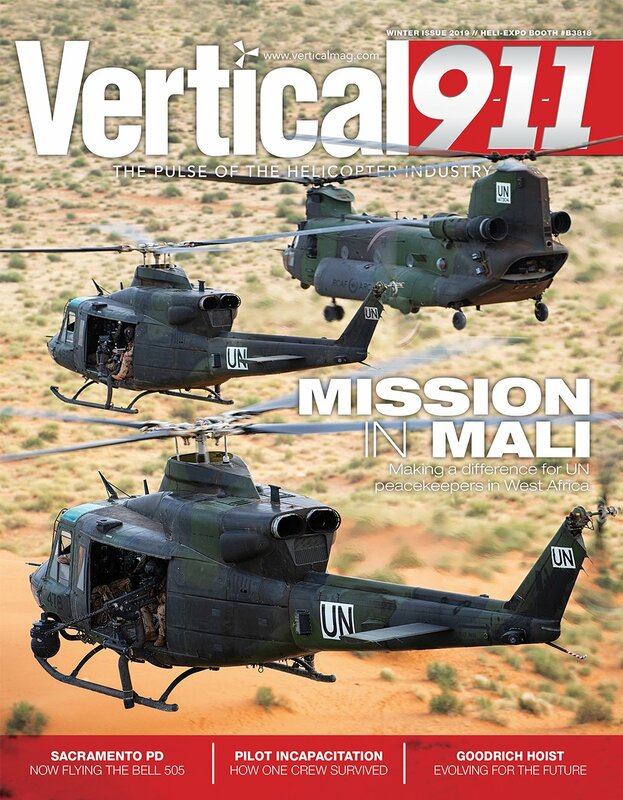 Bell has a habit of producing helicopters and then modifying them over the next ten years. The cost of modifying the Griffons is not the actual cost that DND has specified in their wish list. Let us get real and buy something that has already been proven. The five-bladed H145M is it. If you can do loops with an MD500D, what can you do with a RIGID rotor head? Get with it. Wow! Payload almost the same as empty weight? Storage option better than a 2 bladed system? Costs the same as a 4-blader? This this is definitely a winner. If they can make avionics that can take the harsh Gulf of Mexico environment like a 407 does, maybe one day we’ll see them out there more often. I think this new 145 will be an EMS favorite soon enough.